Christine Shaw's new biography uses a wealth of archival sources to paint a vivid portrait of one of the most remarkable and colourful men ever to sit on the papal throne. Admired and hated, his actions were always controversial and made him one of the most influential figures in Renaissance Italy. Christine Shaw is a Research Fellow at the European Humanities Research Centre at the University of Warwick and in the Department of Economics at the University of Reading. Her main writing and research interests are in Italian Renaissance political history and in modern business history. 2. The Power Beside the Throne. 5. The Patrimony of the Church. 8. The League of Cambrai. 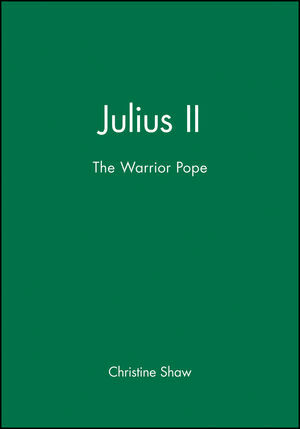 * First biography of Julius II in English, and the first in any language to be based on archival research. * Much new material on his early career as a cardinal. * Illustrated with many accounts of discussions and interviews with Julius.